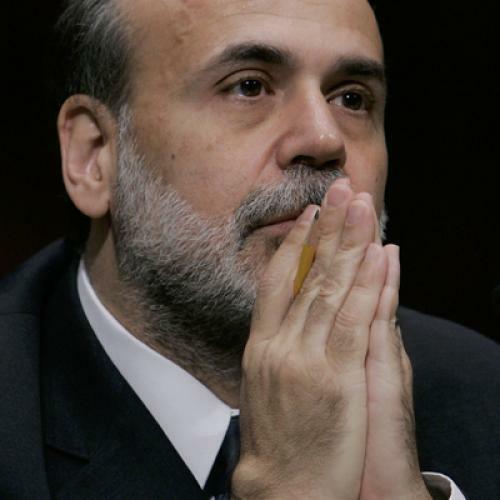 Federal Reserve Chairman Ben Bernanke just wrapped up his much-anticipated speech at Jackson Hole, Wyoming. And exactly what he signaled remains the subject of some disagreement, at least for the moment. Bernanke did not call explicitly for another round of quantitative easing, as many were hoping he would, and may even have suggested a determination to dampen growth if it starts to accelerate. On the other hand, Bernanke did indicate the Fed would consider further action to strengthen the economy at its September meeting. At least some Fed watchers think more quantitative easing could come then. Our economy is suffering today from an extraordinarily high level of long-term unemployment, with nearly half of the unemployed having been out of work for more than six months. Under these unusual circumstances, policies that promote a stronger recovery in the near term may serve longer-term objectives as well. In the short term, putting people back to work reduces the hardships inflicted by difficult economic times and helps ensure that our economy is producing at its full potential rather than leaving productive resources fallow. In the longer term, minimizing the duration of unemployment supports a healthy economy by avoiding some of the erosion of skills and loss of attachment to the labor force that is often associated with long-term unemployment. As Jared Bernstein says, Bernanke's message here seems unambiguous: Reducing federal budget deficits remains a top priority for the medium- and the short-term. But for now, with so many people unemployed, boosting the economy is more important -- not only because it will ease hardship but because it's actually better for the economy in the long run. And whether or not he's preparing the Fed to take some action along those lines, he's clearly hoping Congress will do its part. Of course, Bernanke is hardly the first prominent economist to say this. As my colleague Matthew Zeitlin notes, most mainstream economists agree that the economy needs stimulus now, deficit reduction later. The disagreement is largely over the form that stimulus should take, although even there the consensus seems to be fairly broad (or, at least, the differences seem easy to settle with compromise). The problem is the political debate, in which the debate remains not so much how to stimulate the economy as whether to stimulate it at all. That makes no sense whatsoever.